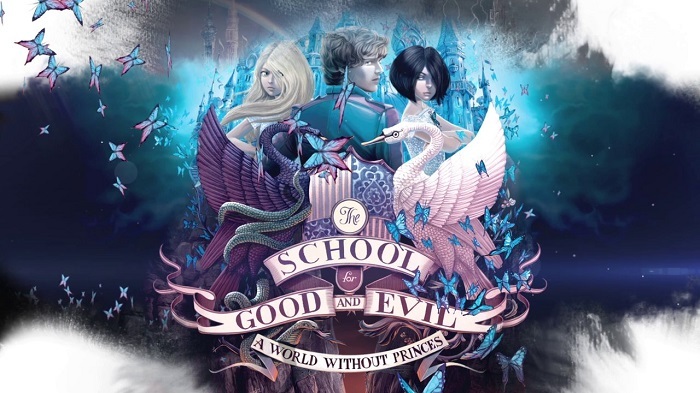 Book Two in The School For Good and Evil was great. An interesting story that looks at some really important questions that we might face in life such as: What is good and what is evil? What Makes someone either good or evil? Is it written on your soul and can someone change if they try hard enough or want it bad enough? So many fairytales label one person as the good guy and one as the bad guy, but we don't usually get to see what happened to make them that way. We don't know why they are cast in those roles. The School For Good and Evil lets us see the story behind the story. It also explores love a great deal. Is there only one kind of love or are there various kinds? Do you only have room enough in your heart to love one person? Can love change a person? Seeing romantic love and friendship love side by side and the jealousy that can arise from having two people in your life that you love deeply was wonderful. I feel like it shows readers that you don't have to choose one or the other, that you can have both. And how putting one love aside for another can sometimes lead to dire consequences.